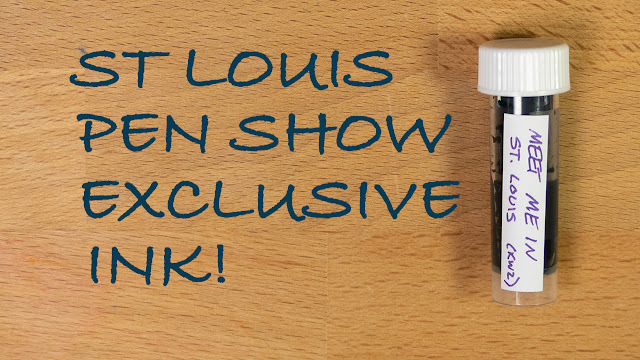 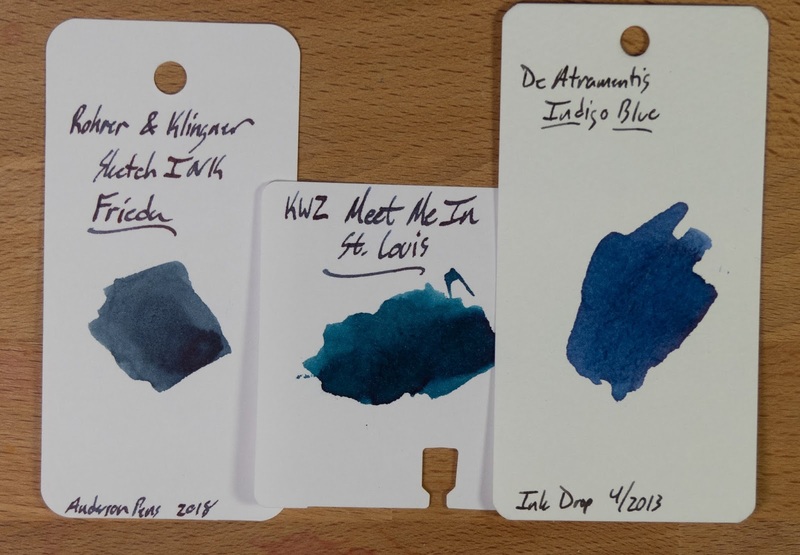 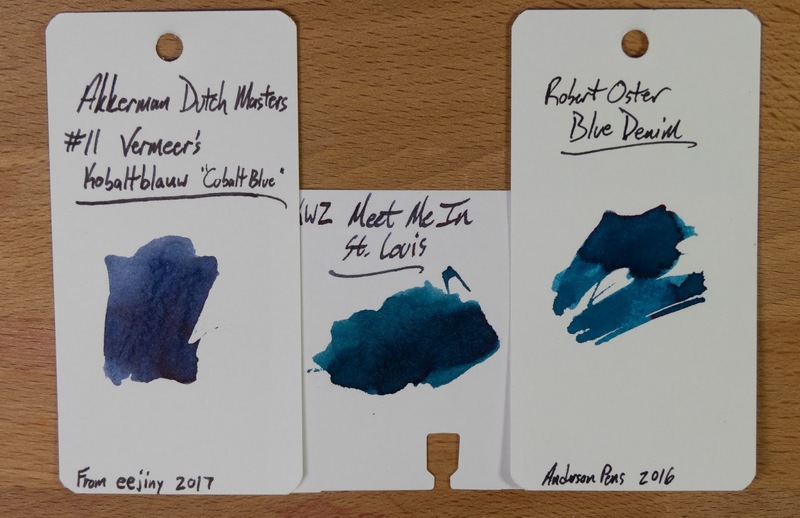 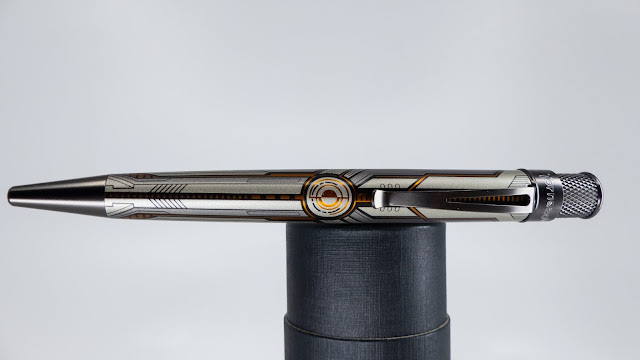 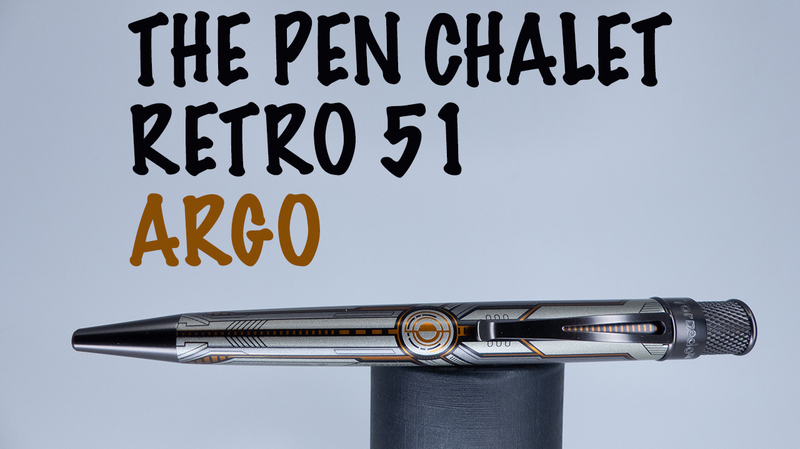 The first St. Louis Pen Show will be this weekend, and I hope it's a big success. 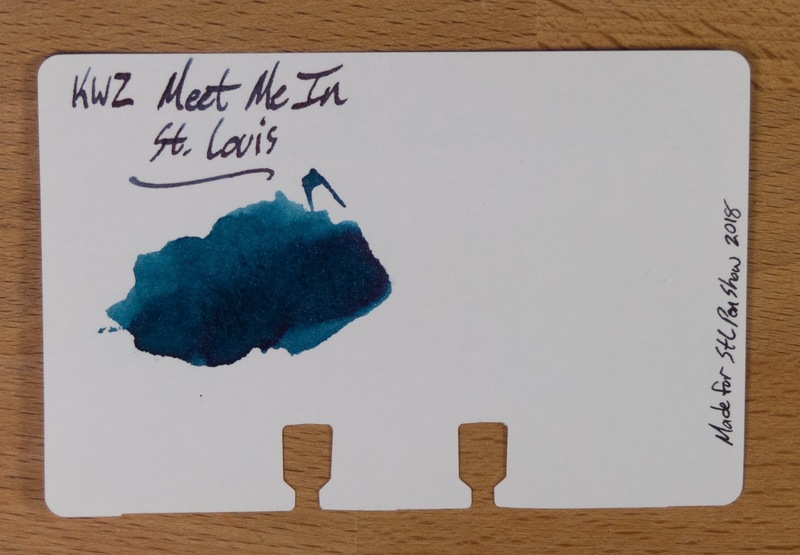 The show is set to be pretty darn big, with 150 tables putting it in the same weight class (I think) as shows like Chicago. That's a big deal for a first-year show, and I really hope that people show up. 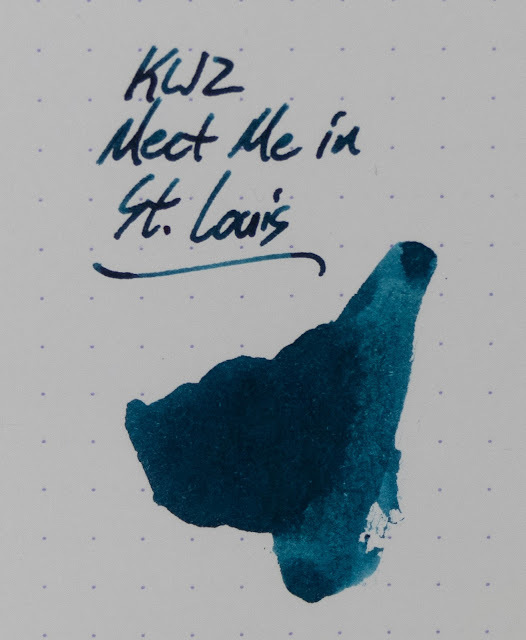 I wanted to go, but it's just not in the cards this year. Maybe next summer will work out, though. 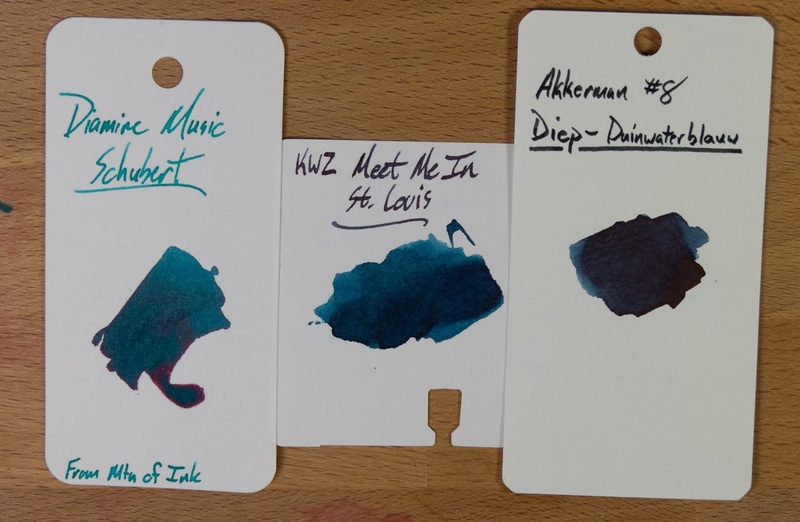 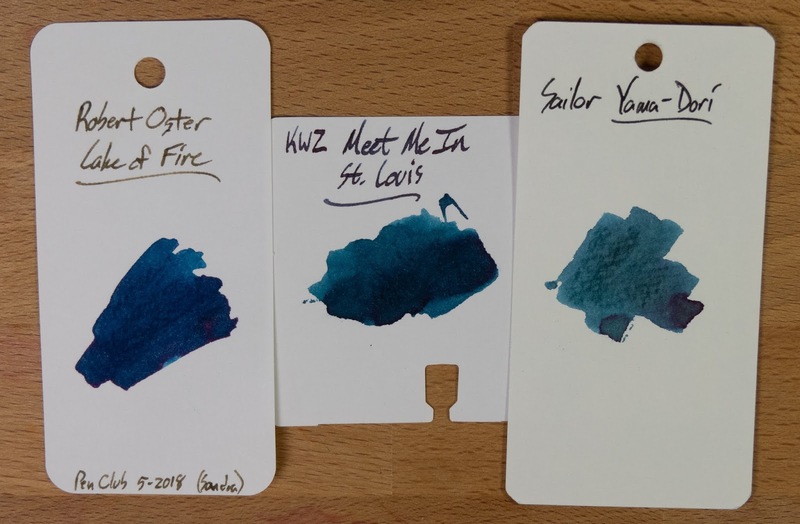 This ink was created by KWZ for the pen show and, as far as I know, it'll be an exclusive to the show. 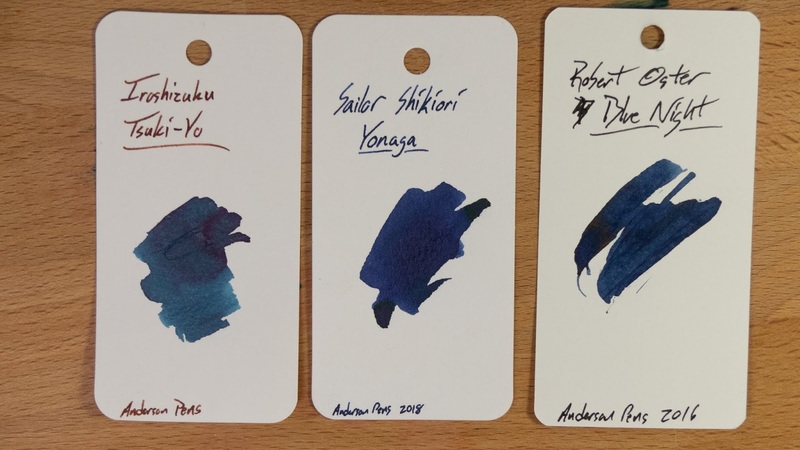 So, if you like what you see below, you'll want to get someone to mule you a bottle or hope that there's enough left over for another vendor (like Anderson or Vanness) to get some stock to sell after the show. 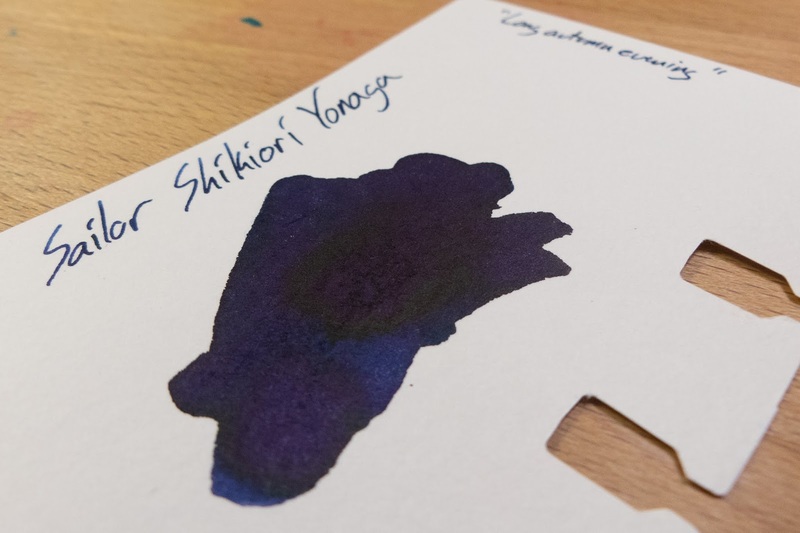 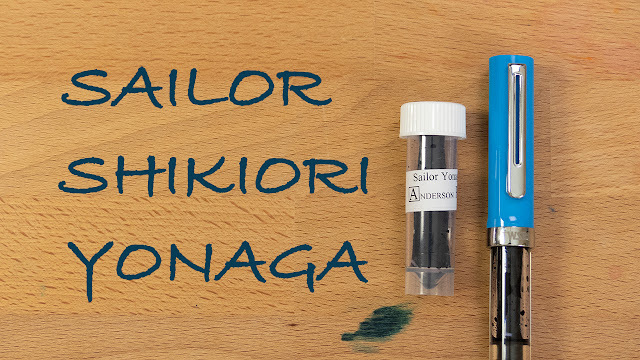 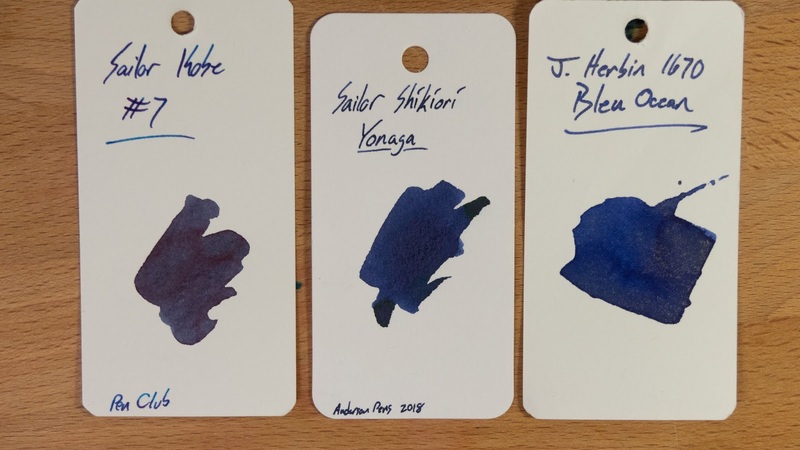 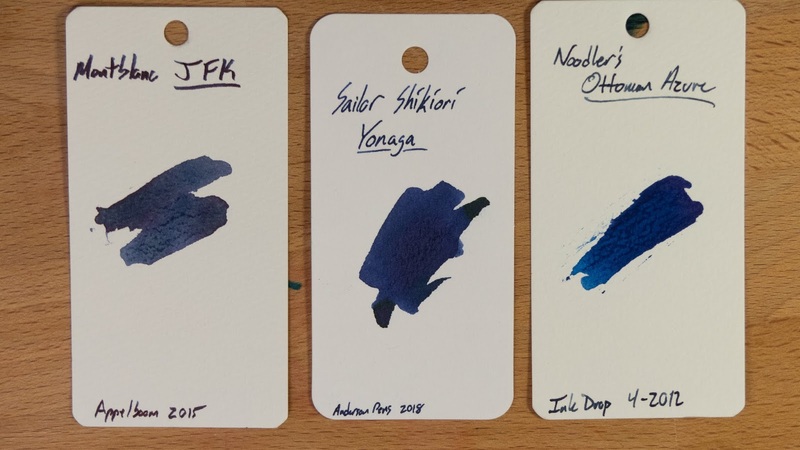 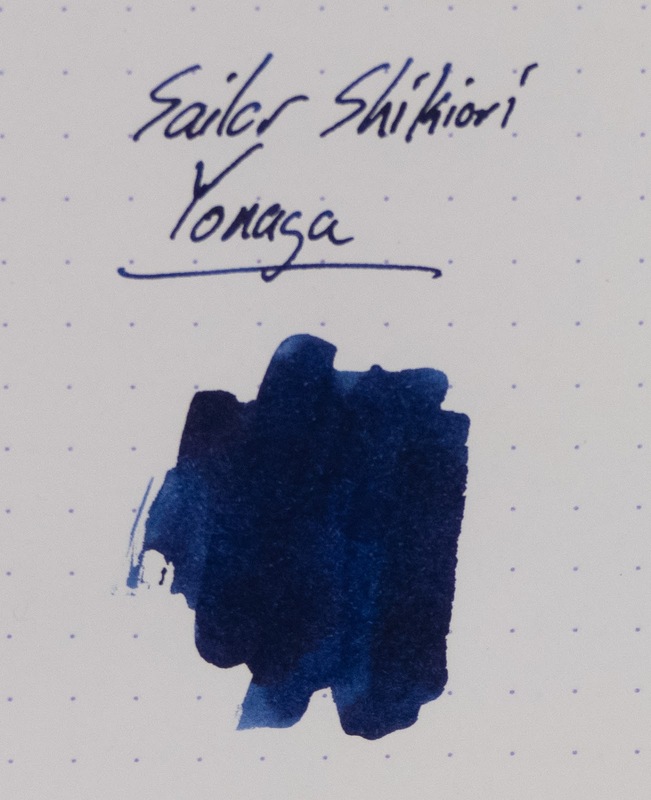 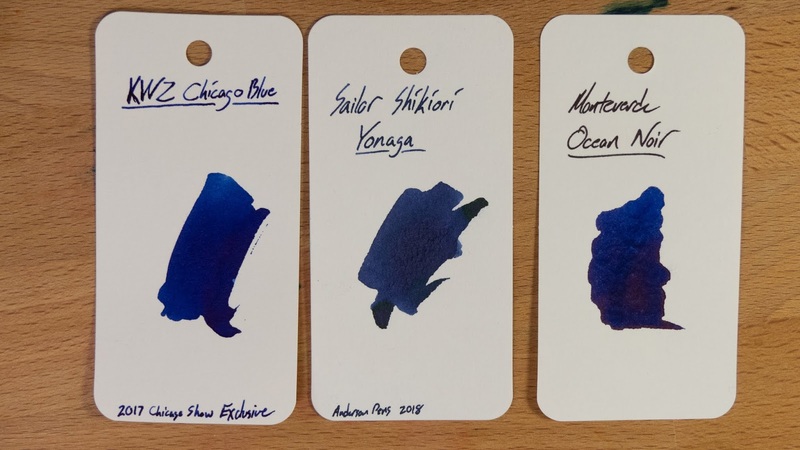 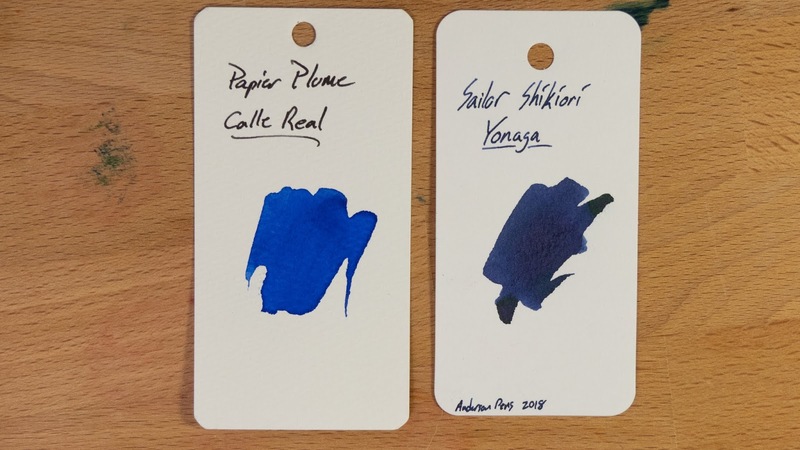 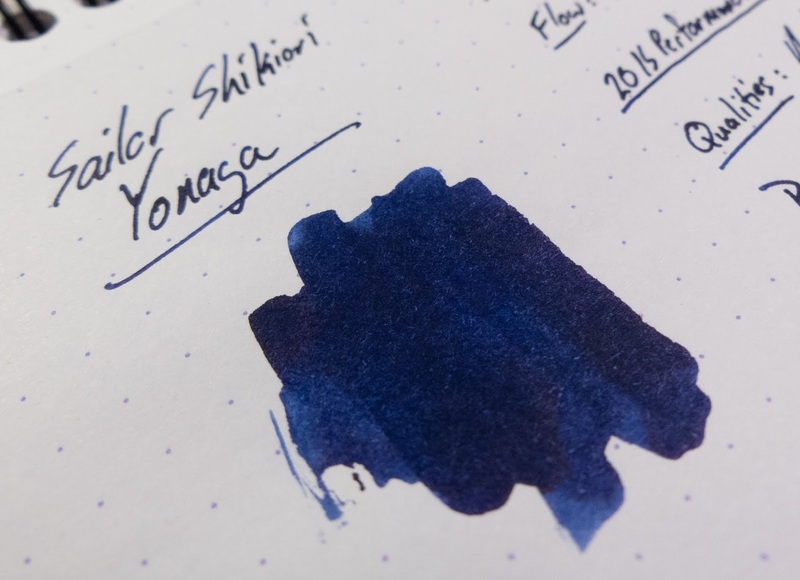 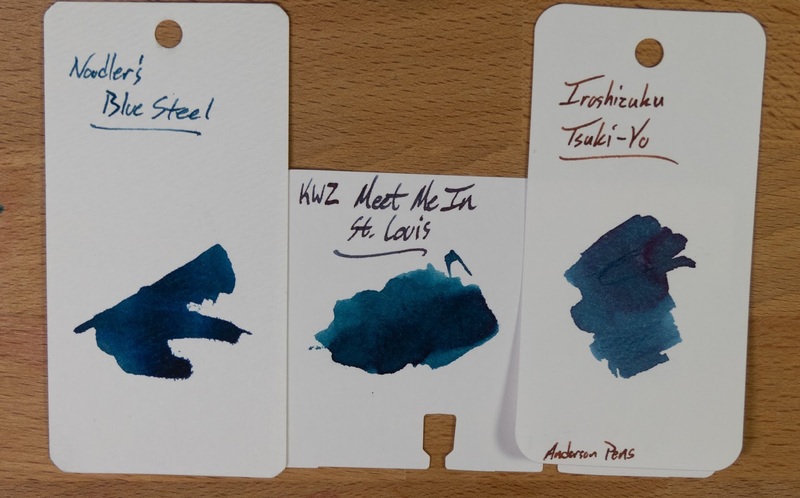 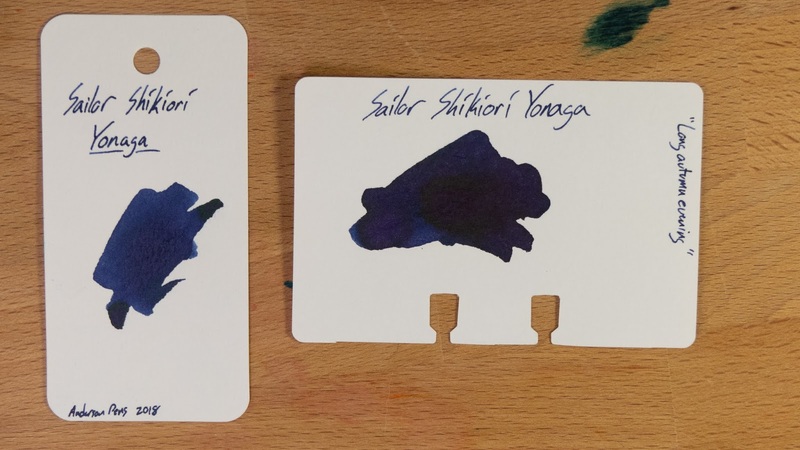 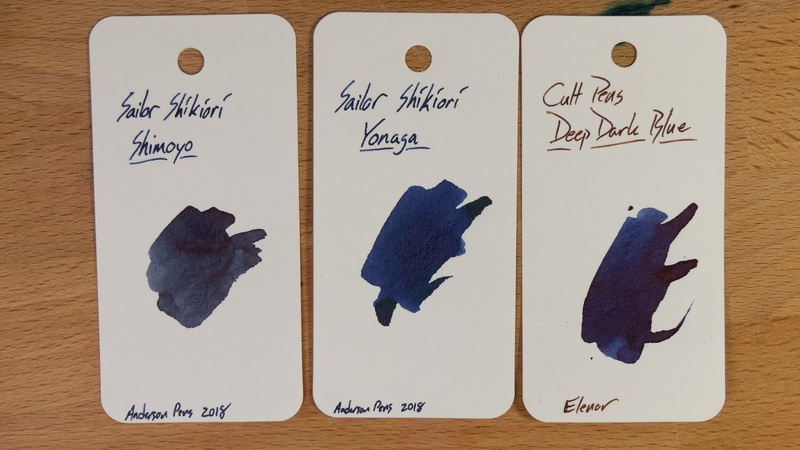 This is the first of the Shikiori inks that I've tried, and it's an instant hit. 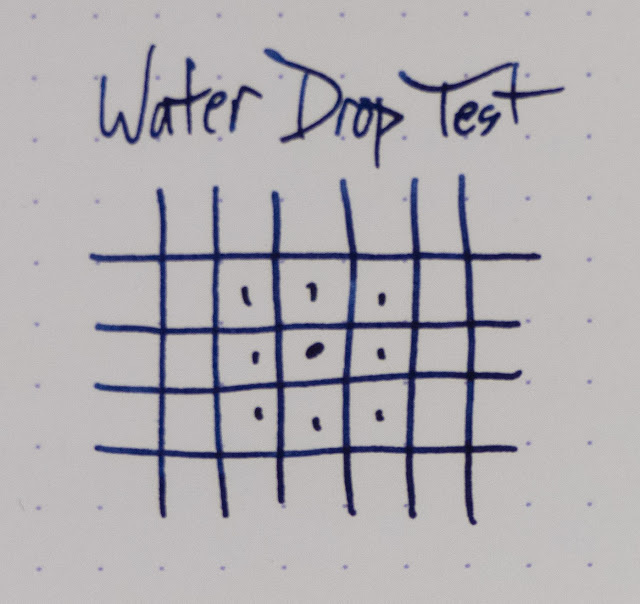 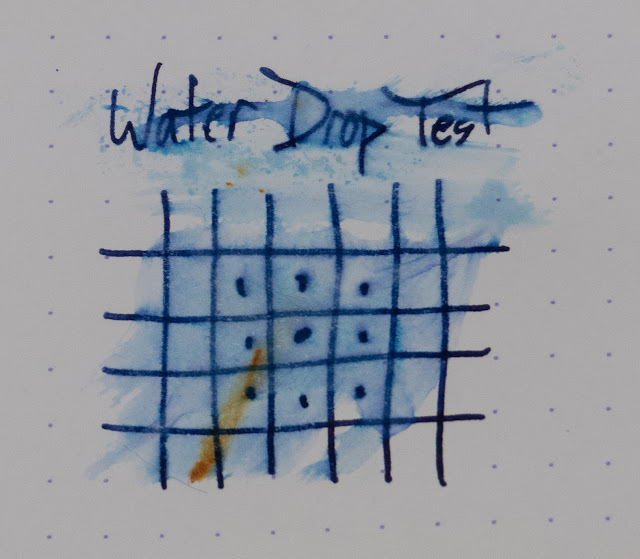 Well, instant in that I inked it up in one pen, and I used up pretty much the whole sample in this TWSBI Eco T. It only took me since January. 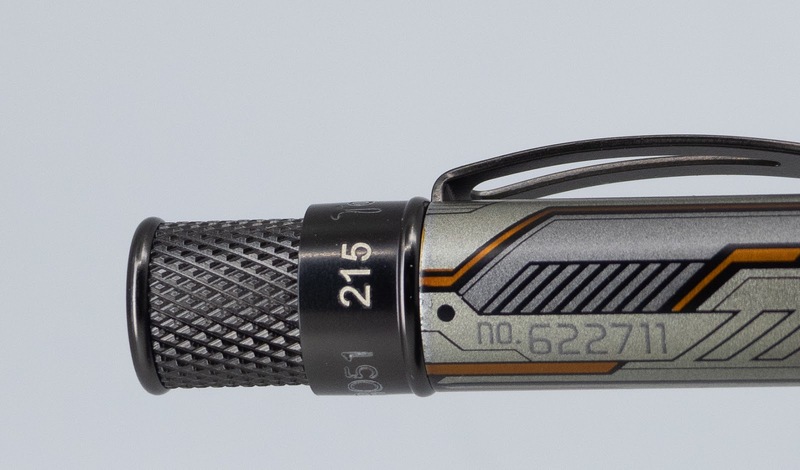 I'll confess, I have too many pens inked right now. 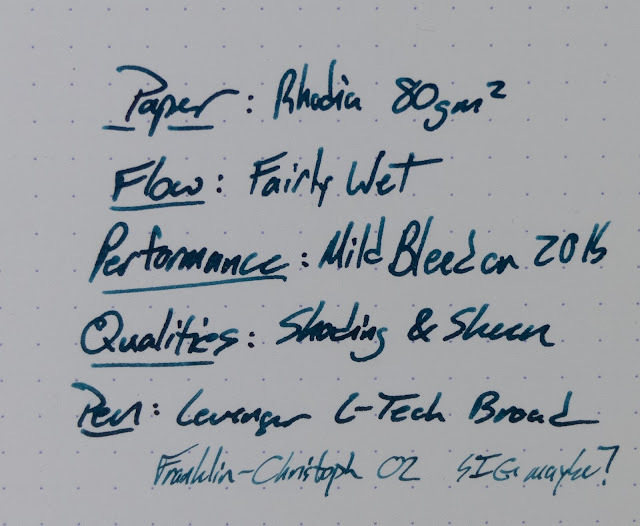 I'm working on that. 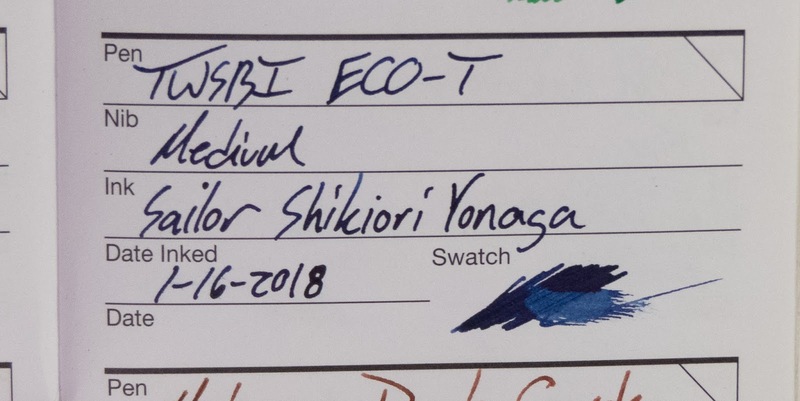 This ECO got put in a drawer and forgotten about. 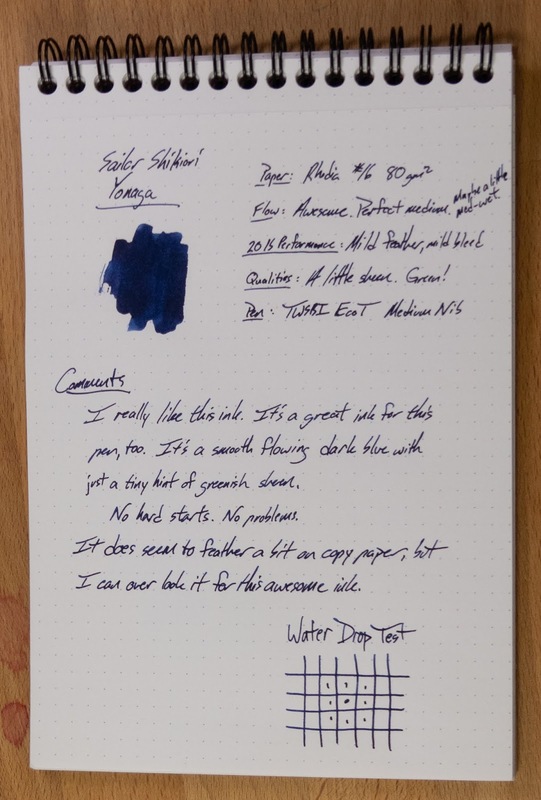 BUT: it has never had any issue starting back up and writing perfectly. 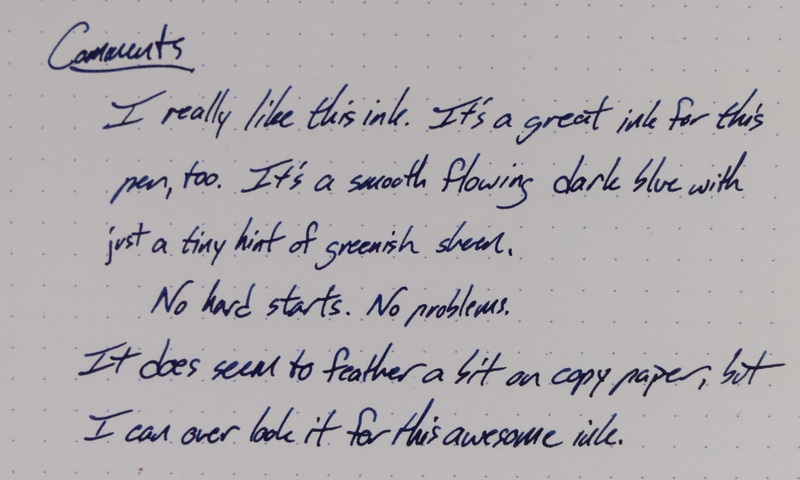 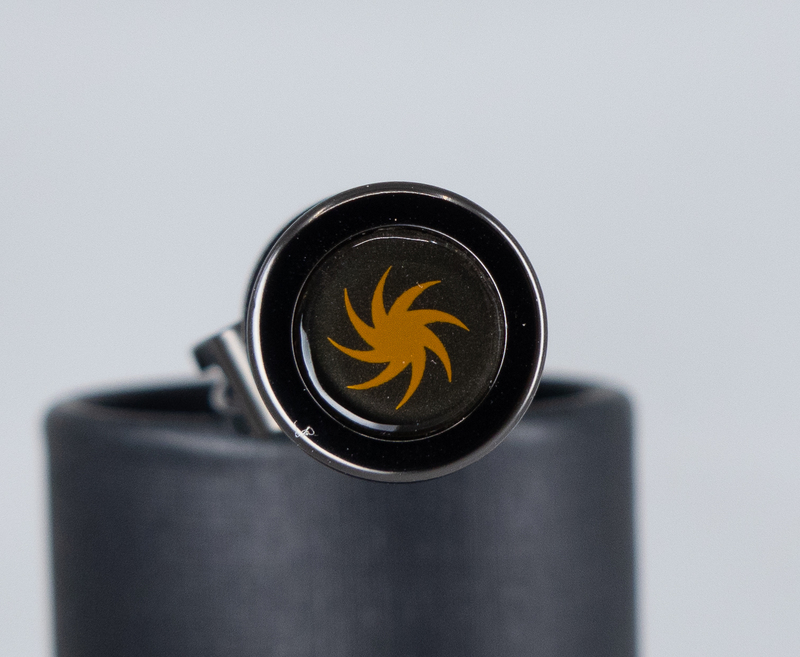 It's a great pen, and this is a really nice ink. 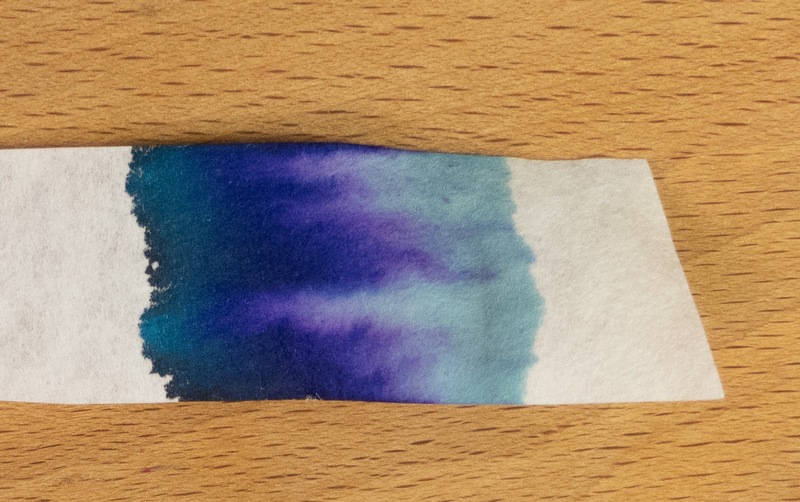 As you'll see below, it's not perfect. 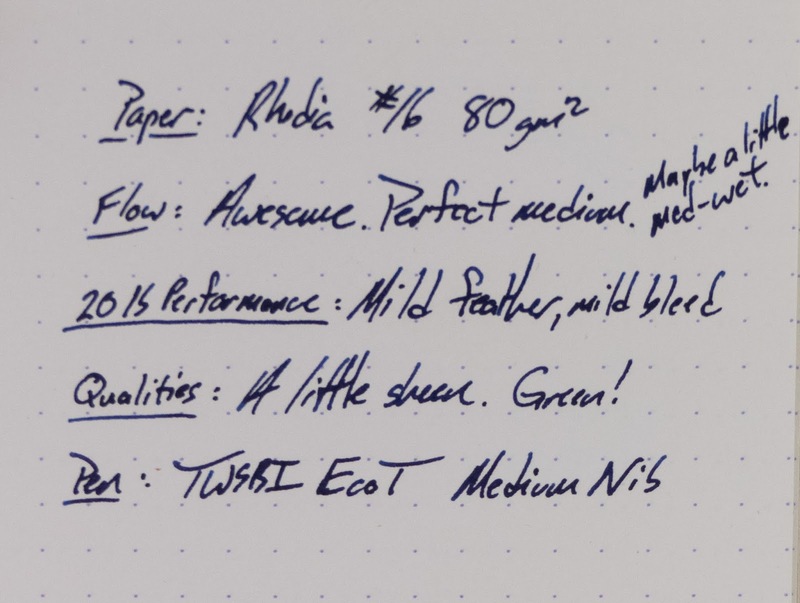 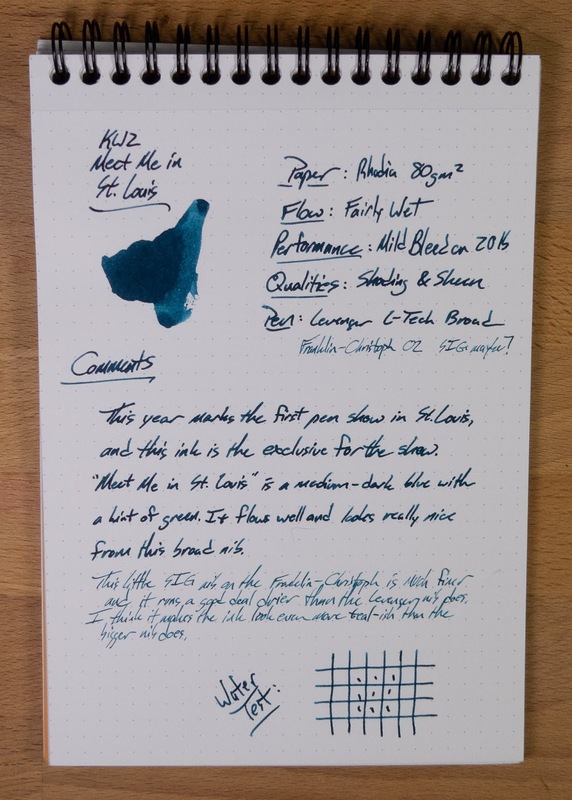 It's a little prone to misbehavior on bad office paper, and it's a little expensive, but the color and feel of the ink makes it worth it.